Eric Benedict will now lead more than 350 advisors serving ultra-high-net-worth clients. Morgan Stanley (MS) said Wednesday that Eric Benedict to lead its Private Wealth Management, which focuses on ultra-high-net-worth clients. The group includes 350-plus advisors serving clients with $20 million or more of investable assets. Last month, Morgan Stanley restructured its wealth management operations, which went from three divisions to two and from 12 regions to eight. In February, the firm tapped Shelley O’Connor to lead its advisor force. She reports to Greg Fleming, the leader of Morgan Stanley’s wealth and investment management businesses. 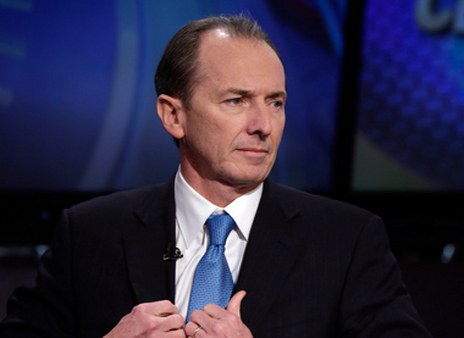 The company’s chairman and CEO is James Gorman. Doug Ketterer previously held this lead PWM position, but the wirehouse tapped him to become head of its strategy and client management operations in April. Before Wednesday’s announcement, Benedict was head of capital markets for the firm. He has been with Morgan Stanley for 18 years and has worked in sales, trading and risk management leadership positions for the Institutional Securities Group and Wealth Management. In the most recent quarter, Morgan Stanley’s 16,426 advisors had average yearly fees and commissions (or production) of $881,000, and average assets under management of $118 million. Overall, its wealth management operations have a total of $1.94 trillion of client assets. Check out Alt Mutual Fund Use Up Sharply at Wirehouses on ThinkAdvisor.